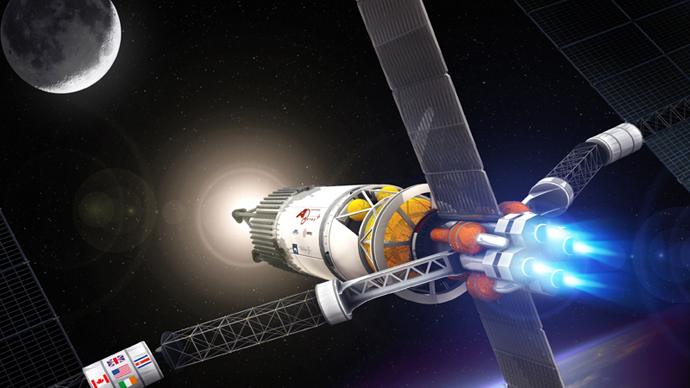 A US company may have the solution to get humans to Mars in just over a month. They have been given a grant by NASA to try and achieve this. The space agency is pinning its hopes on the Vasimr rocket, which aims to reach the Red Planet in a mere 39 days. The Ad Astra Rocket company from Webster, Texas, awarded the contract by NASA, is located just a stone’s throw from the Johnson Space Center. The CEO, Franklin Chang-Diaz, who is a former astronaut and flew on seven space shuttle missions, says the new rocket engine has the potential to be revolutionary. “This is like no other rocket that you may have seen in the past. It is a plasma rocket. The Vasimr rocket is not used for launching things. It is used for things already there, which we call ‘in space propulsion,’” he said in a promotional video. The Vasimr engine works by heating plasma, an electrically charged gas, to extreme temperatures using radio waves. Strong magnetic fields then funnel this plasma out of the back of the engine. This in turn creates thrust, helping to propel the engine at extreme speeds. NASA likes what they have seen and offered a grant to the Ad Astra Rocket company as part of their 12 Next Space Technologies for Exploration Partnerships (NextStep). “The partnership [with NASA] will advance the Vasimr engine to a technology readiness level (TRL) greater than 5 – a step closer to space flight,” the company announced in a press release on Tuesday. Over a three-year period, NASA will give the Texas-based company in the region of $10 million to fully develop a new version of the Vasimr engine. With successful demonstrations of their new VX-200-SS prototype, which will be able to fire continuously for more than 100 hours, NASA will consider employing the propulsion system on future excursions to Mars. The company is also thinking about other projects for its Vasimr engine, such as asteroid retrieval, which would bring the objects closer to earth, allowing them to be mined.